AIO Boot uses the Grub2 default theme for the fastest boot speed. Instead, you can change the background, language, and font size of Grub2. 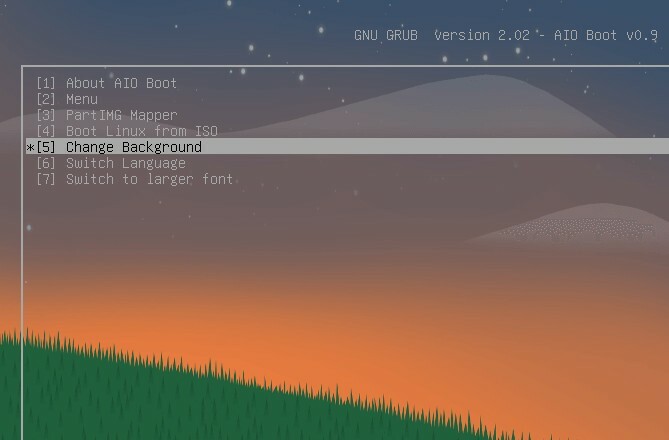 AIO Boot has used the default theme of Grub2 since its initial release. 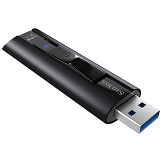 It is quite nice, lightweight and of course is best suited for Grub2. AIO Boot has too many menus, and it has hotkeys support for quick access to a menu, the hotkey is in square brackets. This helps you to quickly boot into the operating system. There are two ways that you can change the background, language, and font for the AIO Boot’s Grub2. Run AIOCreator.exe and change it in Settings, or boot into Grub2 and change it in the Help menu (press the z key). In this article I will share the Grub2 scripts I wrote for AIO Boot. After changing the background image, language and font for Grub2, these values are saved. In the code below, I will use the save_env command to save the bg, lang and font variables to the grubenv file. If you have not run AIOCreator.exe yet, rename /AIO/grub/_grubenv to /AIO/grub/grubenv. When booting into Grub2, you just need to check the value of these variables. If so then use, otherwise set by default. To display the background image for Grub2, just use the background_image command. By default, the wallpaper will be made to fit the screen resolution. If you want to keep the size of the background image, add a “normal” value for the “-m” parameter. This is the Grub2 script to change the background image. echo "Getting the list of files in \"/AIO/grub/themes\". Please wait..."
regexp -s filename "/AIO/grub/themes/(. *)" "$file"
esccont "Please copy all your PNG, JPG and JPEG files to the \"/AIO/grub/themes\" folder." When you access the above menu, it will list all the files in the /AIO /grub/themes directory (except for the current background image). Then choose one of those files as the background image for Grub2. If the background image not showing, its size may not fit. You also need to load the necessary modules first, jpeg for .JPG and .JPEG, png for .PNG. Grub2 supports 38 languages. Grub2 language files are located in the locale directory. Here is a Grub2 script that shows 37 languages (except for the current language), just select one of the menus to change the language. regexp -s 2:langname -s 1:langcode '(.*)=(. *)' "$langstr"
If the Grub2 language file does not exist, the language will not be listed. AIO Boot uses Unicode fonts (unicode.pf2) to support all 38 languages. Available in two sizes, Small and Large, for the English language, AIO Boot uses DejaVuSansMono fonts for large sizes. Use the grub-mkfont command to create font files for Grub2. You may need to modify and improve the Grub2 code before using it. Leave a comment if you have any questions. I think at the moment it does not matter changing the user interface to “right to left” because there is a lot of work out there. Yes, of course I would like this program to be translated into many languages to serve users. The program supports UTF-8 encoding including Vietnamese and many other languages. Send me a translation if you would like to help us. Have you received the translation or not? Thank you, I received the translation. But the translation is not complete.